Gaming laptops seem to be getting better with each passing year and thankfully, these new-gen rigs don’t carry expensive price tags and unwieldy bodies, unlike the yesteryear models. We now have gaming laptops that are easy to carry around but pack in horsepower that’s equivalent to a desktop PC. At the launch of ASUS‘ new TUF FX505 and FX705, we got our hands on the new portables. So let’s take a closer look at these gaming beasts. 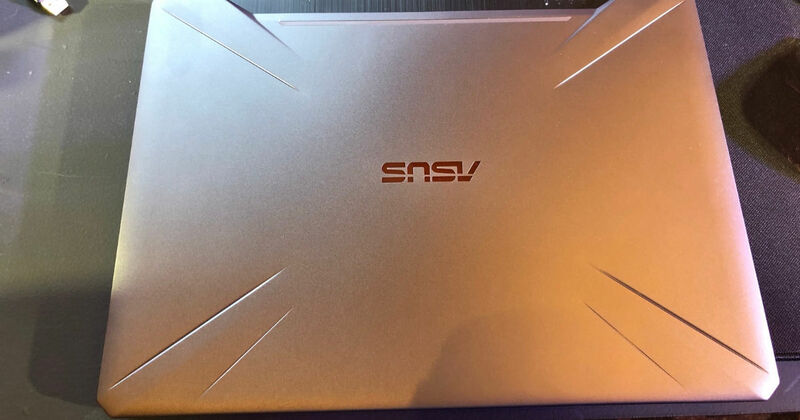 In terms of the design, the new laptops from ASUS are not particularly appealing but this can be partly attributed to the fact that the company’s aim with the TUF series — as the name itself suggests — is to offer durability. Talking about this very aspect, both the TUF FX505 and FX705 meet the MIL-STD 810G military standard, making it them durable and ensuring that they can survive harsh conditions as well. The ASUS TUF FX505 and FX705 sport NanoEdge displays that feature significantly slimmer bezels than some of the earlier models. Impressively, both these laptop models are available with up to 144Hz IPS displays. If you have ever played a first-person shooter on a panel with a high refresh rate, you would know that it can significantly improve your gameplay. The FX505 features a slightly smaller 15.6-inch display, whereas the FX705 packs a larger 17.3-inch screen. In our time with the laptops, we found the displays to be extremely impressive. With support for 100 percent sRGB gamut, these portables can be really handy for professionals as well, who have to deal with video or picture editing on the go. Powered by up to 8th-generation Intel Core i7-8750H processor, both the FX505 and ASUS FX705 should be able to handle demanding tasks and multitasking like a piece of cake. However, since we have only spent limited time with the laptops, we will reserve our opinion on the performance for the full review. For graphics, the machines ship with up to GTX 1060 GPU, which means that you will be able to graphically enjoy most games. We enjoyed our brief time with these laptops, and managed to play a few minutes of Metro: Last Light. The title ran smoothly on both devices and we did not notice any substantial frame drops. The RGB keyboard on these laptops comes with WASD key cap design, which makes it very convenient for first-person shooters. Over here, the company has also introduced Overstroke technology, which essentially registers keystrokes faster despite providing the same amount of key travel as before. The dual-fan placement design and the anti-dust cooling system works in sync to ensure that the laptops don’t overheat while gaming. The pricing for the ASUS FX505 starts from Rs 79,990, while the FX705 starts from Rs 1,24,990. Both rigs will be available to buy from offline and online stores. We’ll be putting the laptops through the paces soon, so stay tuned for our in-depth review. Samsung Galaxy A80 first impressions: writing the next chapter in smartphone camera evolution?